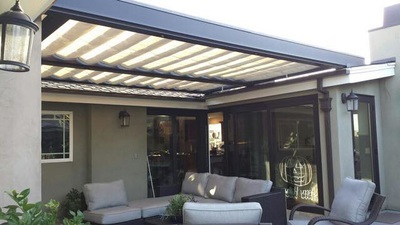 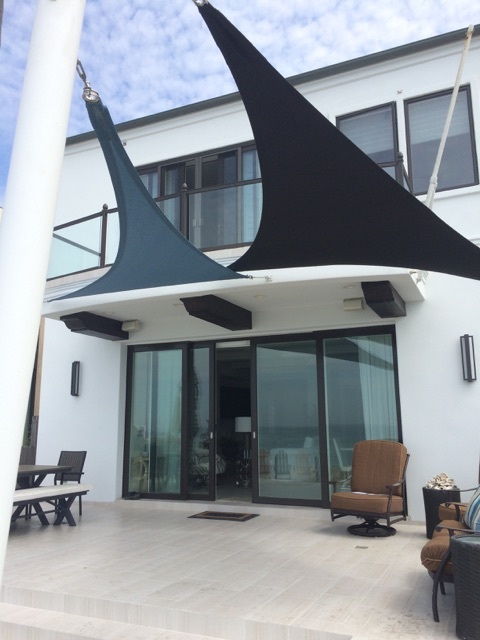 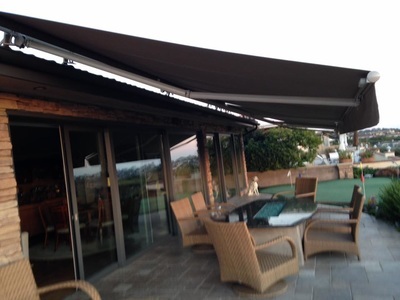 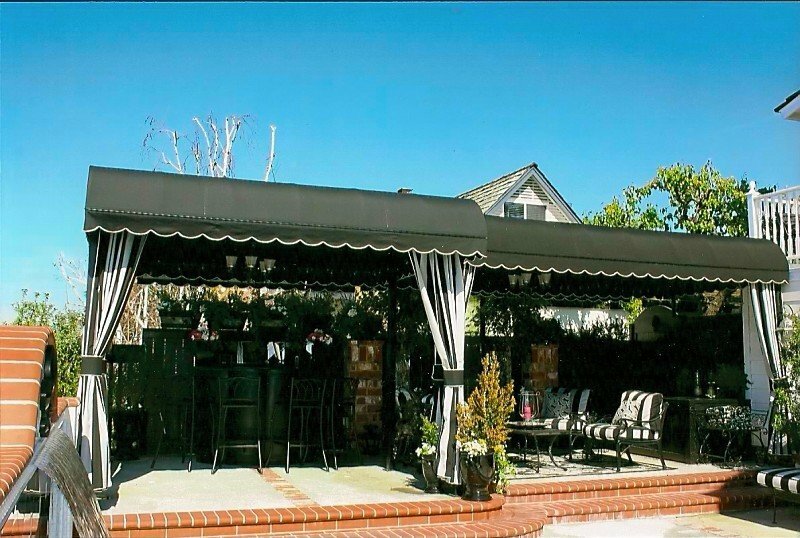 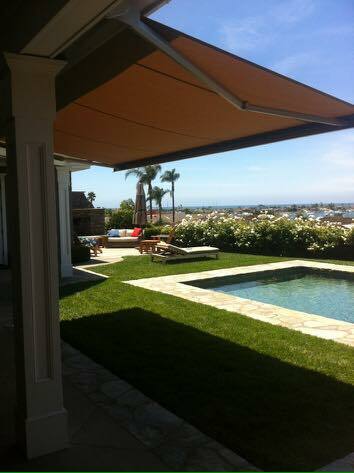 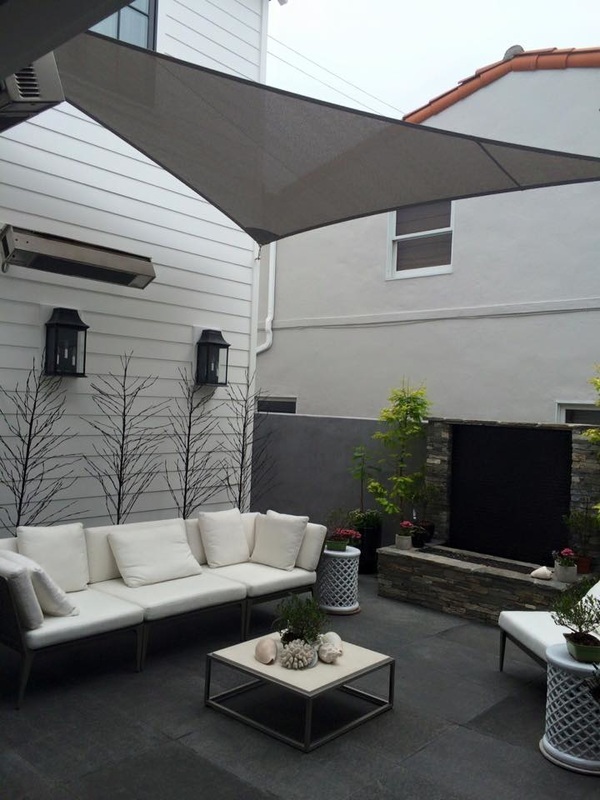 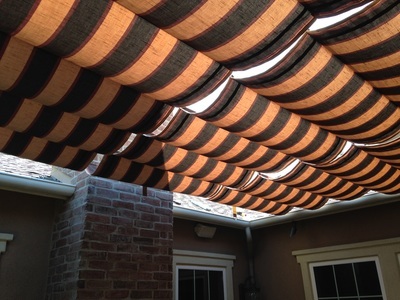 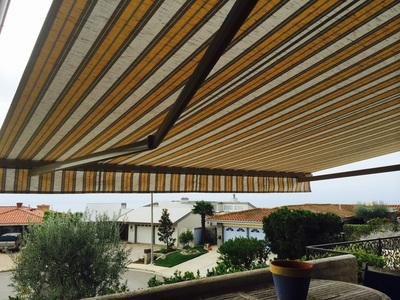 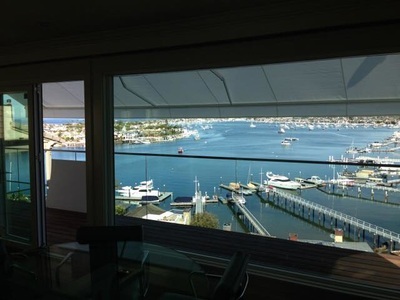 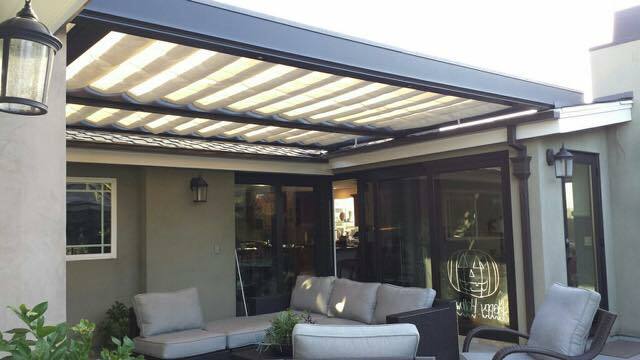 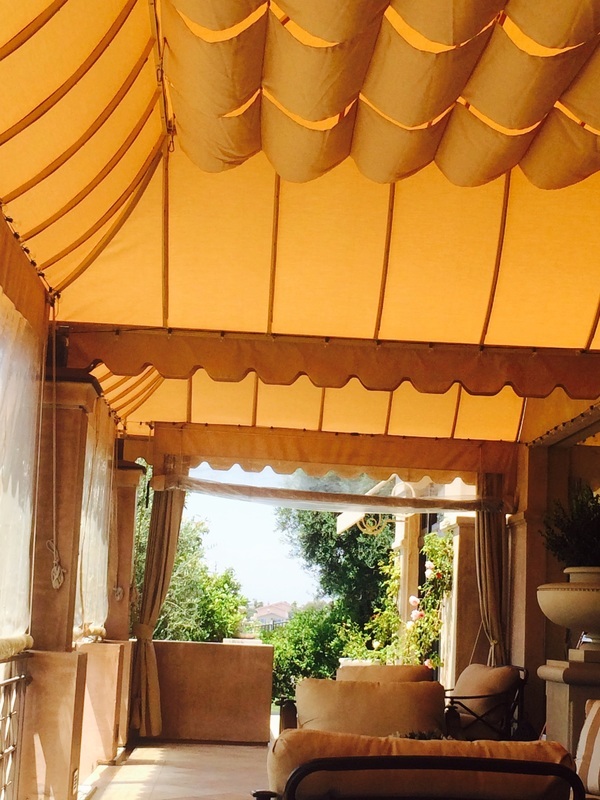 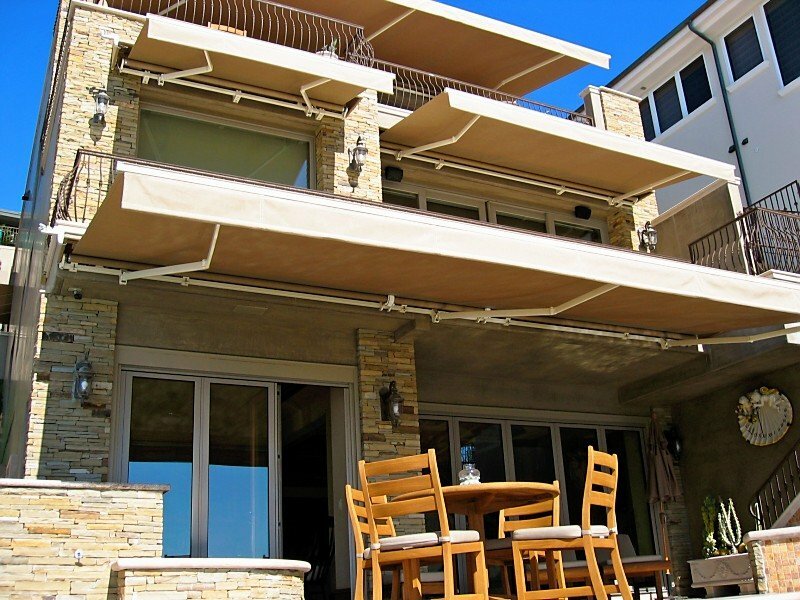 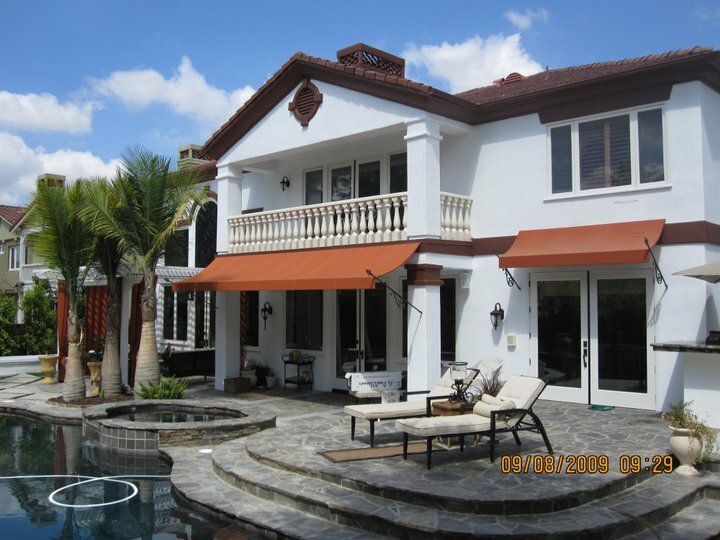 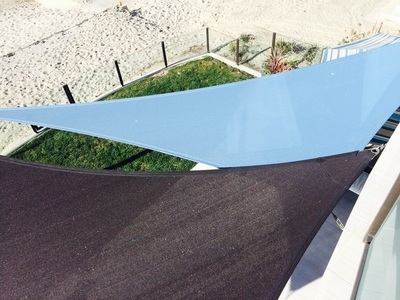 Retractable awnings enhance the quality of your outdoor living space by blocking out the sun on sunny days. 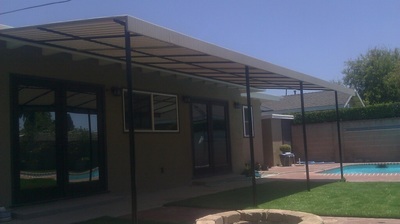 They provide shade when you want it and retract when you want to enjoy the sun. 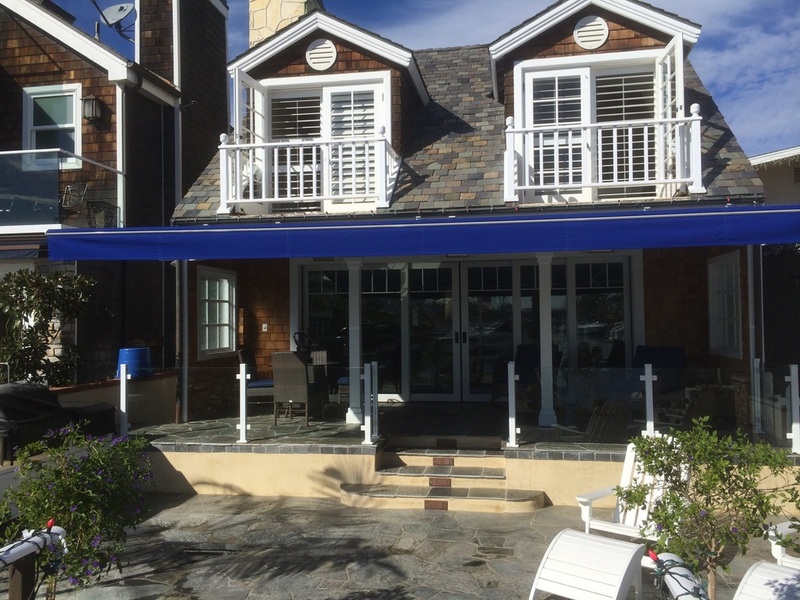 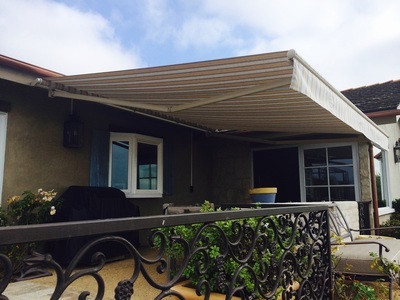 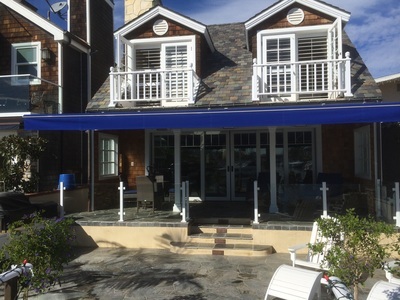 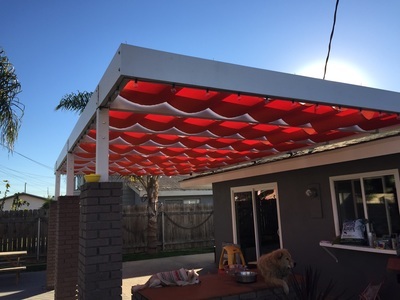 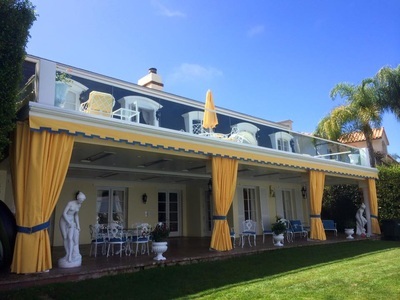 Awnings built to hold up in the heaviest wind or rain and provide absolute total full coverage of your patio, terrace, window, veranda, deck, or balcony. 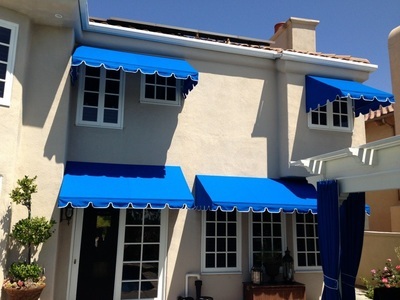 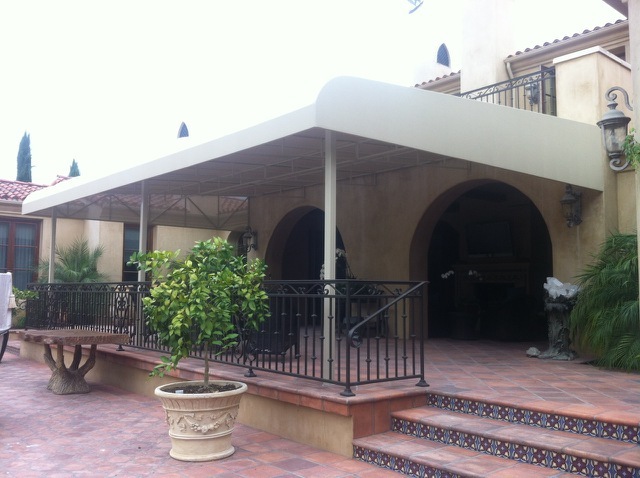 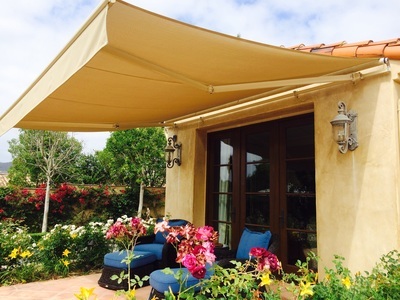 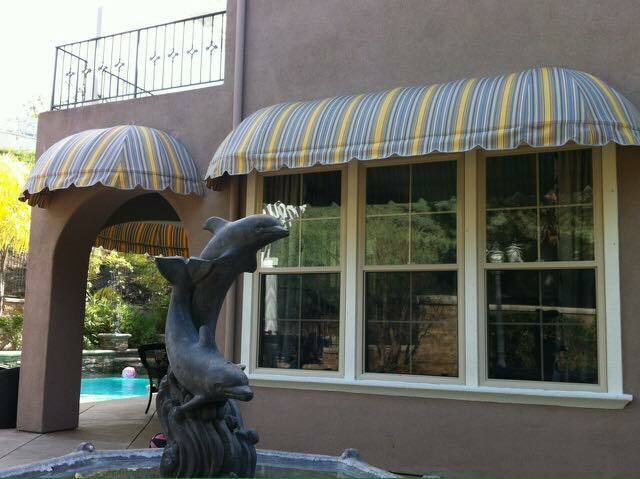 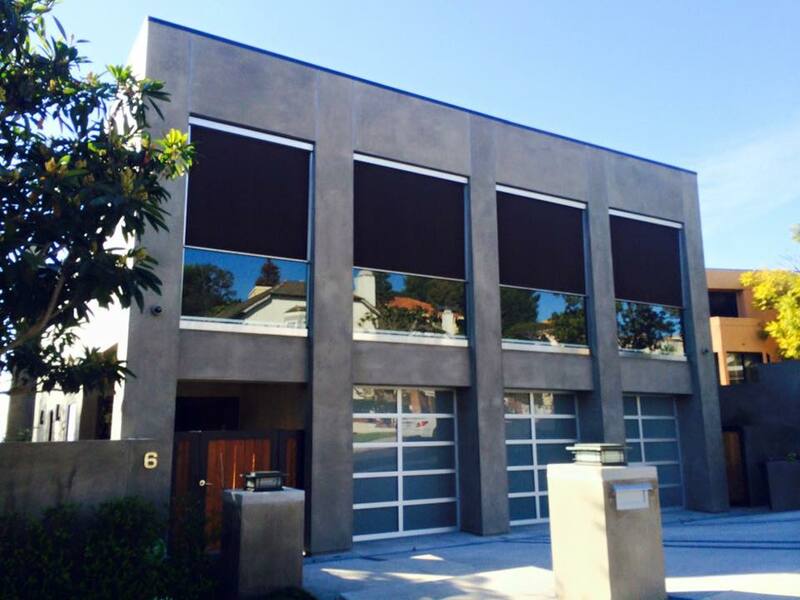 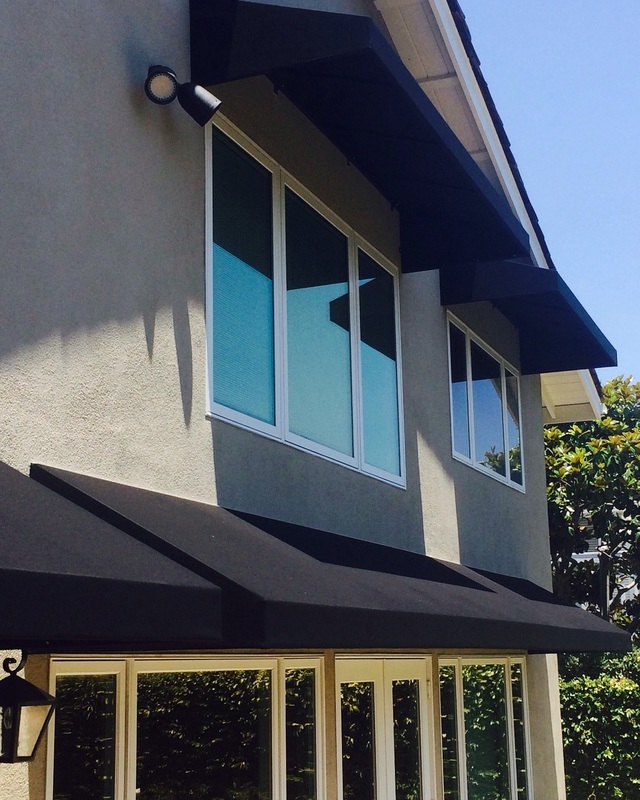 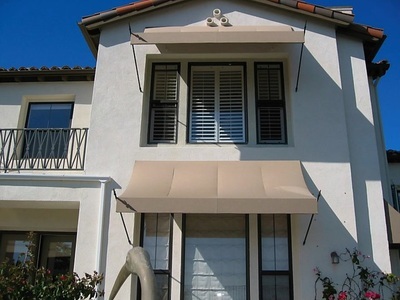 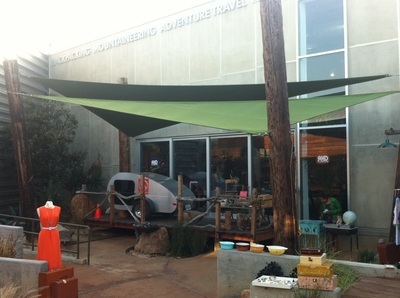 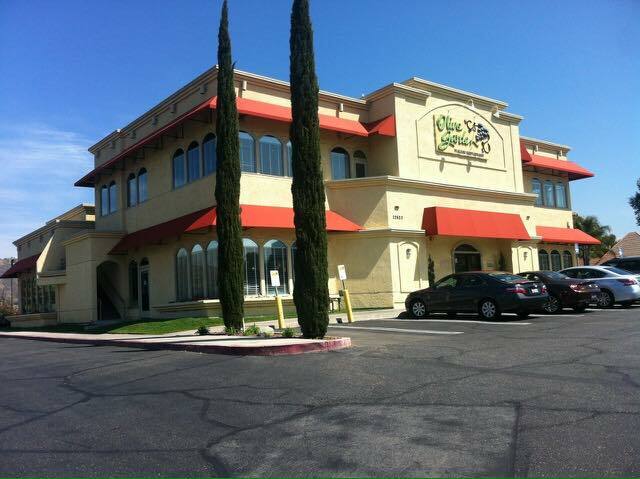 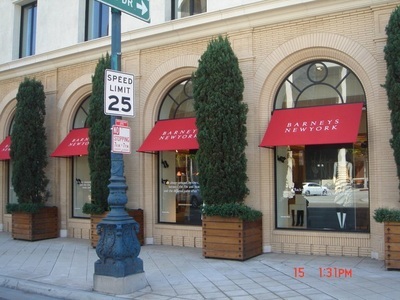 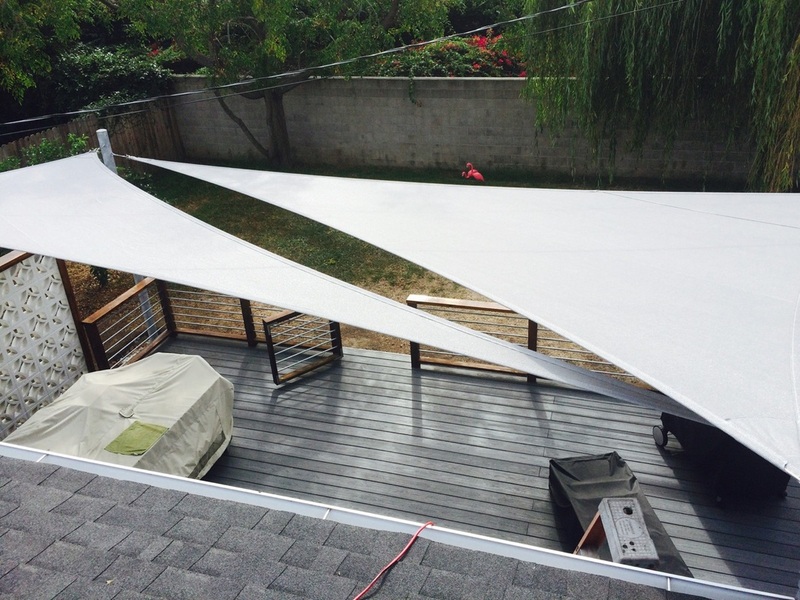 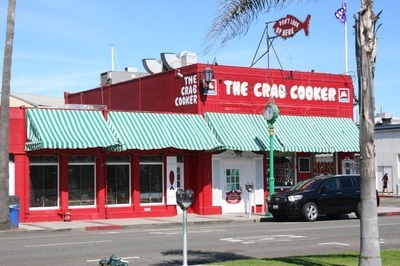 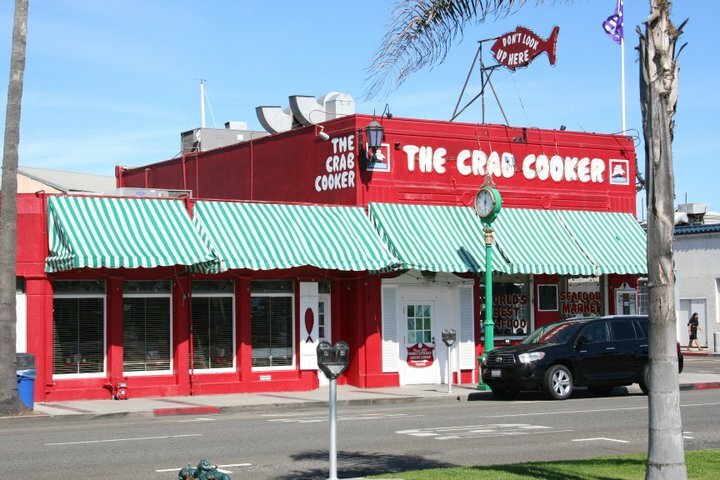 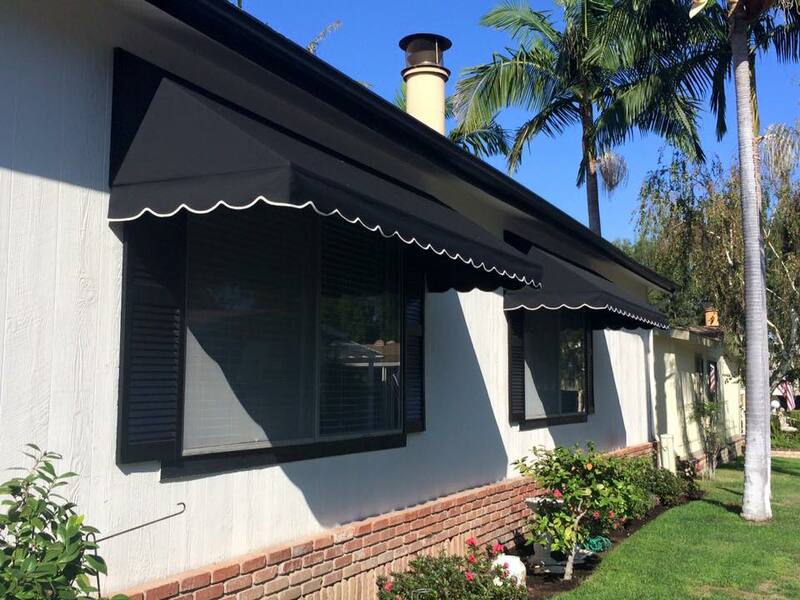 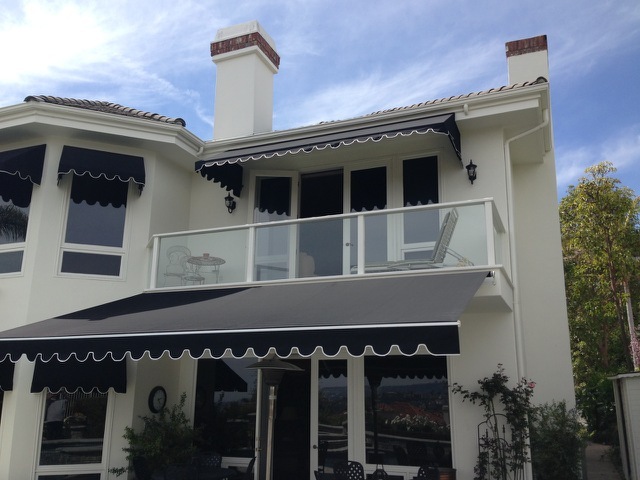 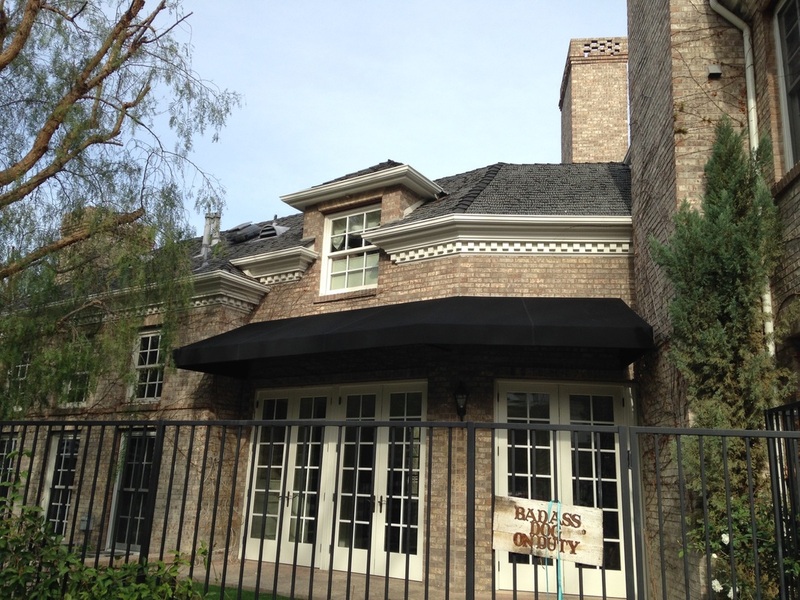 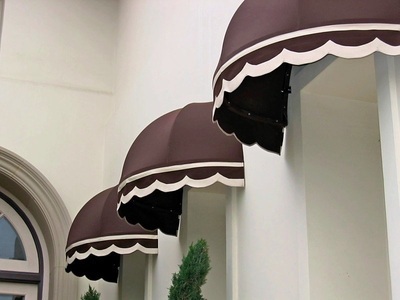 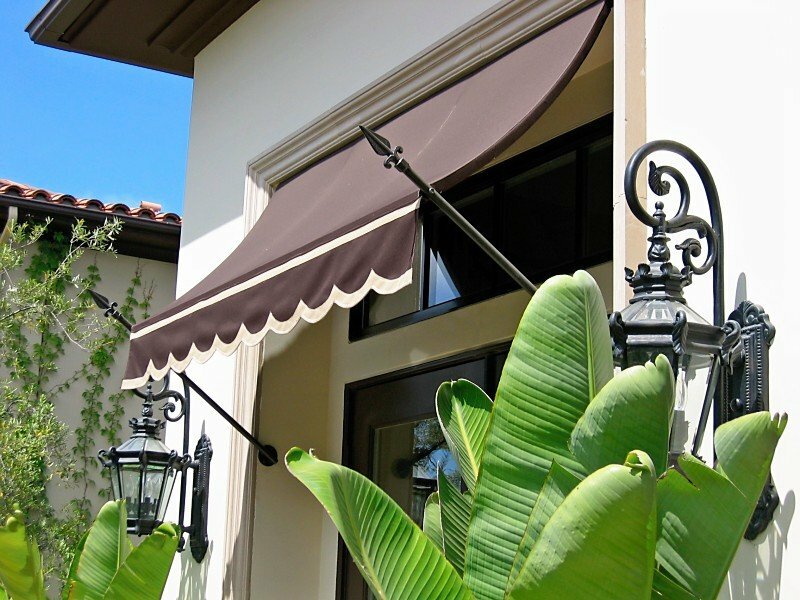 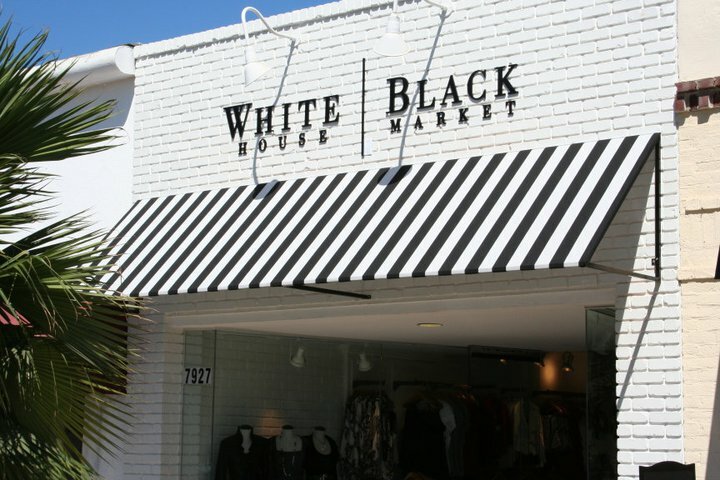 Fixed awnings come in riviera, dome, and quarter barrel styles. 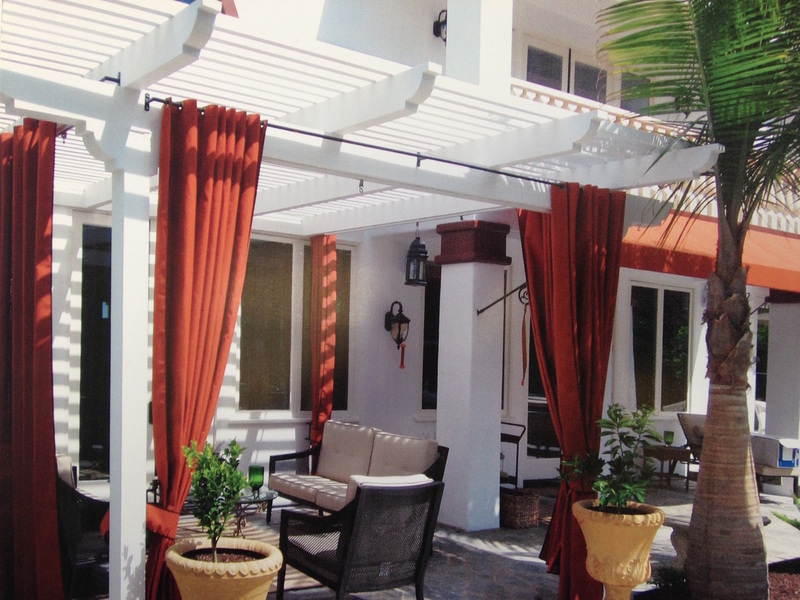 Slide-on-Wire canopies, also know as Roman shades and billows, provide plenty of shade while letting a bit of light through. 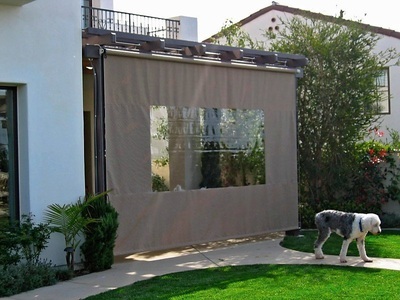 This trendy option can make a huge impact on your outdoor space. 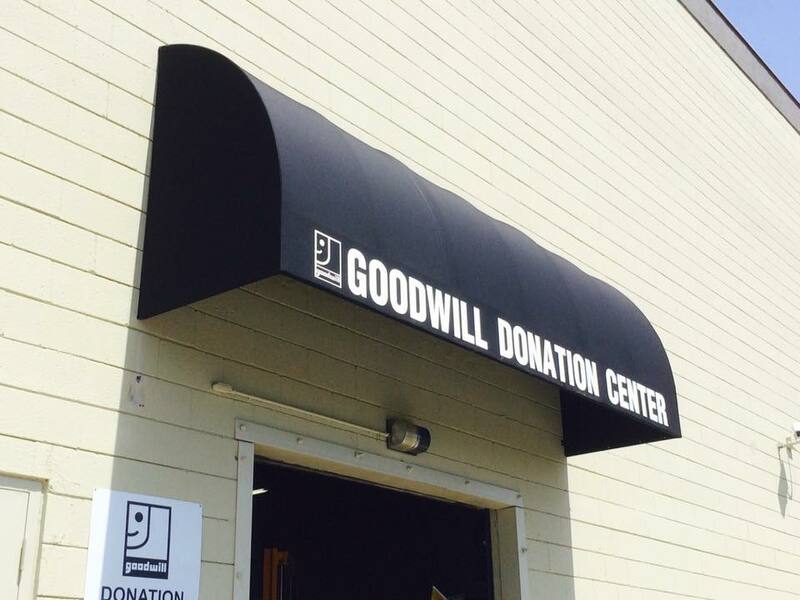 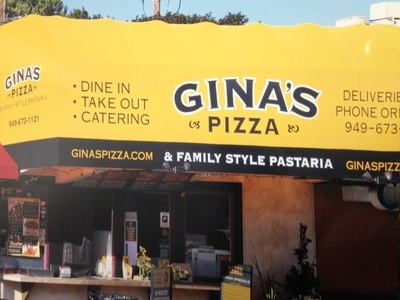 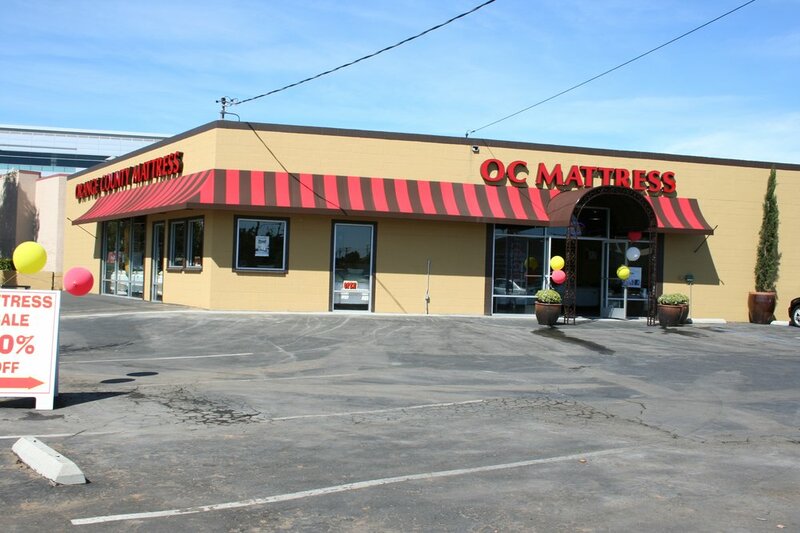 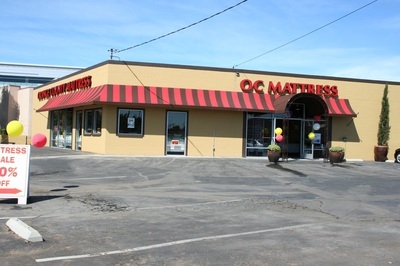 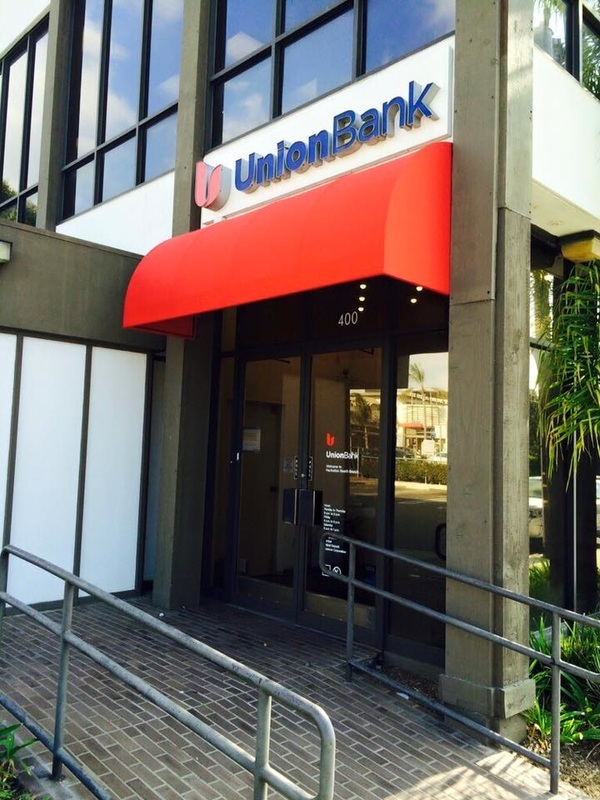 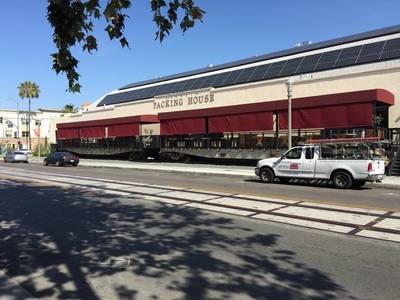 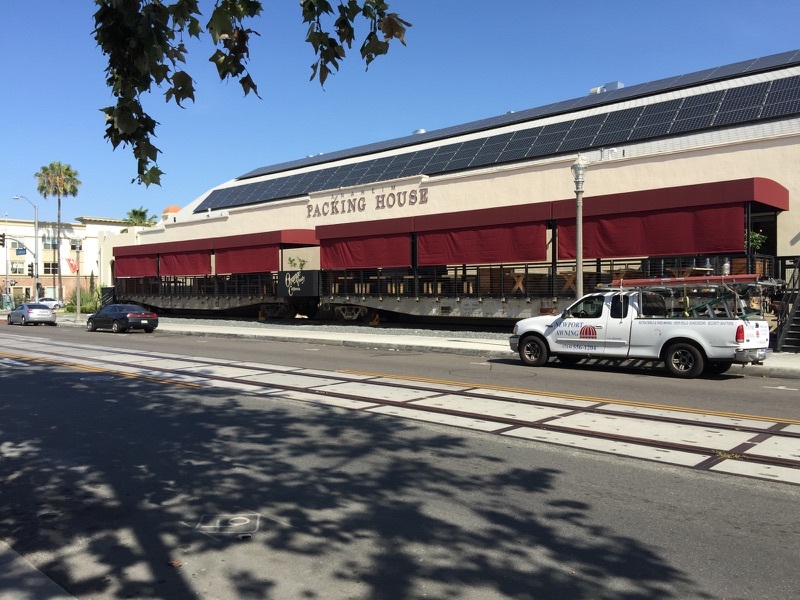 Add an awning to your businesses exterior and you are adding a 3-Dimensional billboard that will catch the customers eye. We understand that commercial applications may require more substantial products than residential so we offer many fire marshall rated and vinyl fabrics. 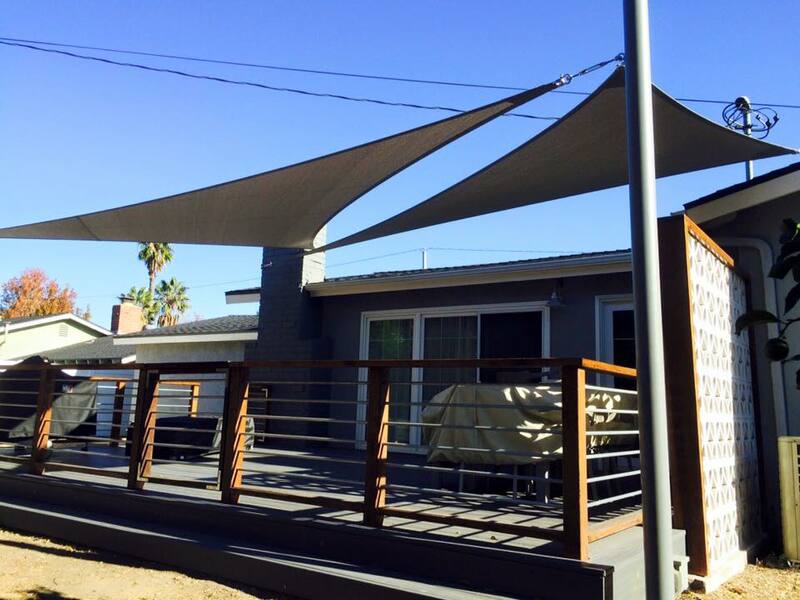 For a fun, modern, unconventional look, shadesails are the way to go. 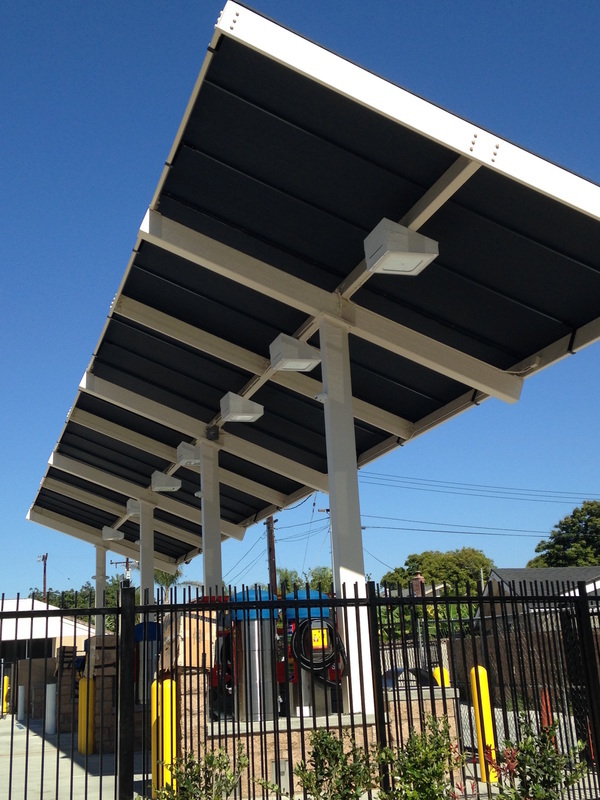 These heavy duty triangle, square, or rectangle shaped fabrics mount to buildings or posts. Shadesails require a lot of tension to stay taught during most weather situations. 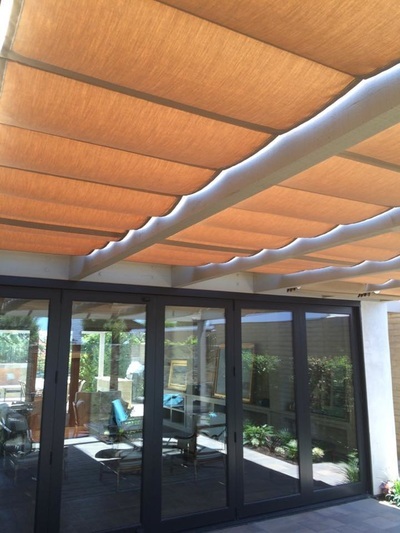 Similar to retractable awnings Droprolls and Sunscreens shield from the harsh sun but retract when you choose to enjoy it. 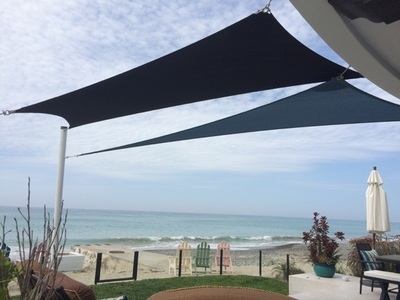 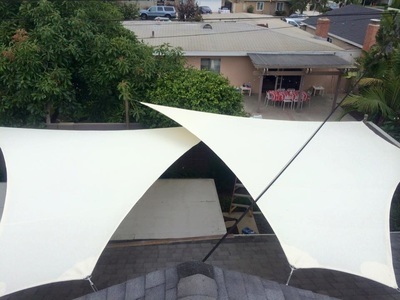 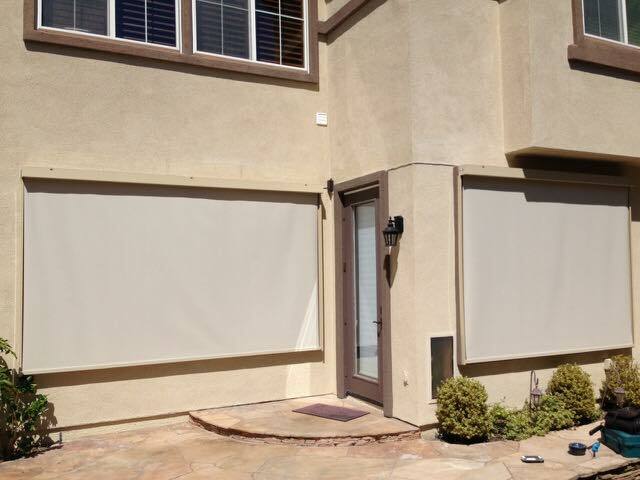 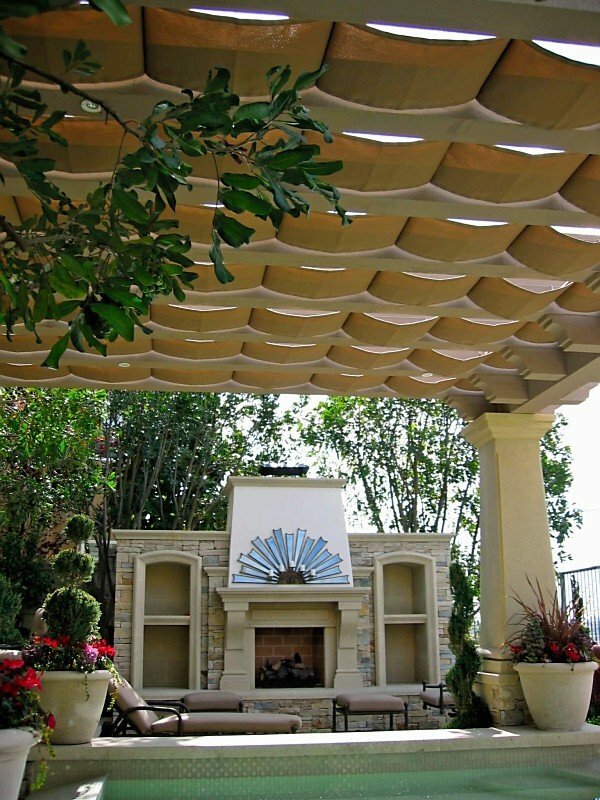 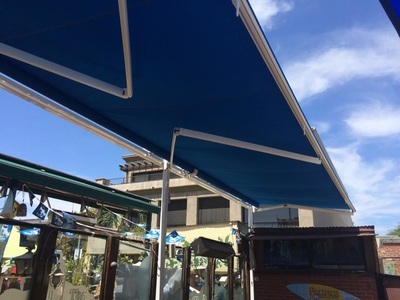 Many customers choose to use screen fabrics that let in different intensities of light (90% and 95% shade) verse the solid Sunbrella fabrics. 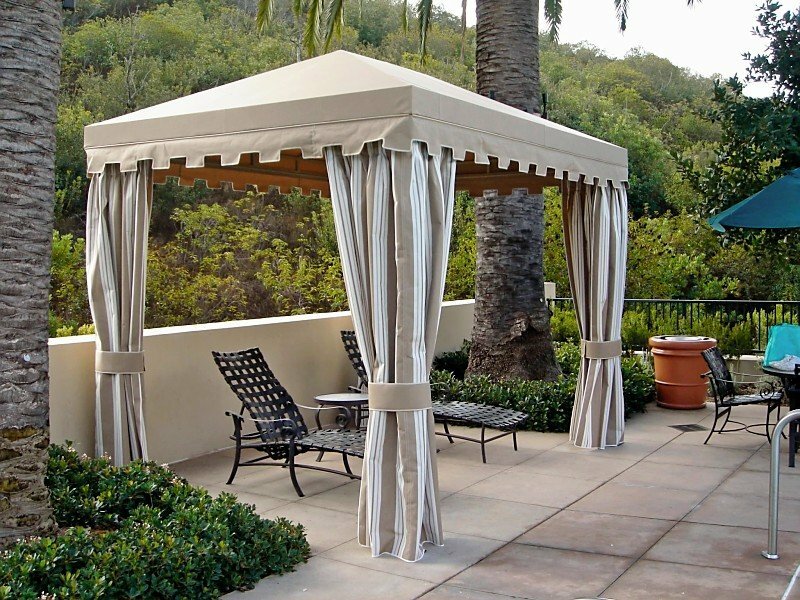 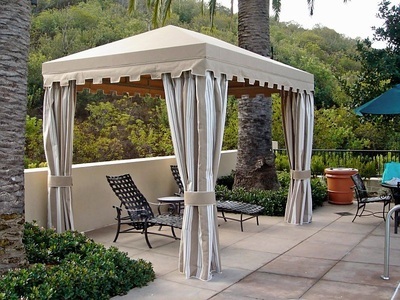 We also offer fully customizable free standing canopies and gazebos with drapes or curtains. 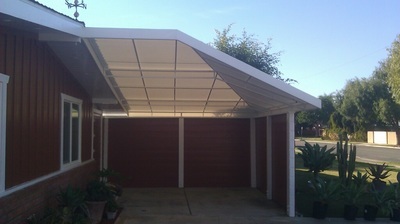 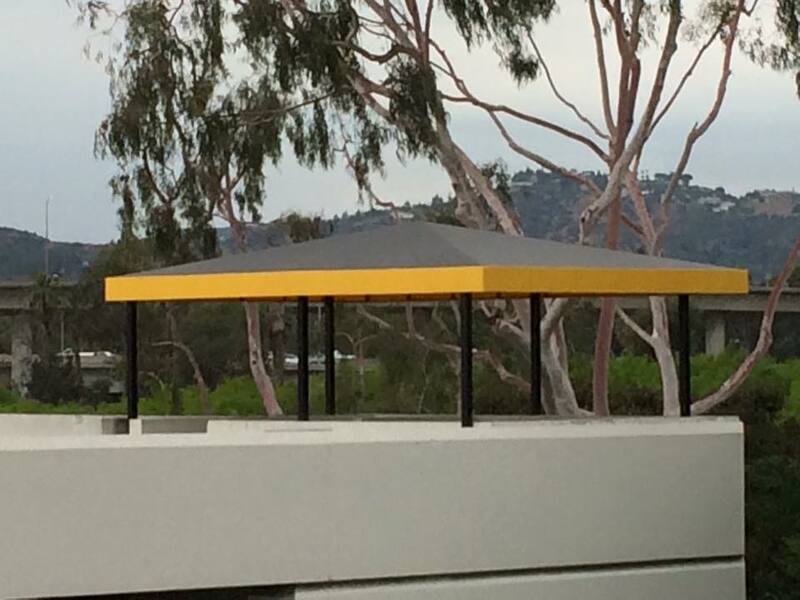 Canopies can be built as large or small as you please with many styles of frame shape available. Drapes that attach to the canopy can be functional and move along a rod for added privacy or mounted simply for decoration.